"Dr. Fong and his team are friendly." "Dr. Fong has been mine and my family's dentist for over 10 years." Dr. Kevin Fong is a talented dentist who cares for the oral health needs of a diverse clientele from his welcoming Hayward, California, office. Born in Alameda, he grew up mostly near his present-day office in Hayward with a family that also produced two other dentists: his father and brother. He has been an active member of his local community for practically his entire life and loves caring for his patients, many of whom are friends and neighbors. In 1988, he received his undergraduate degree from UC Berkeley. He then went on to obtain a Doctor of Dental Surgery (DDS) degree from UC San Francisco in 1993. Given that he was born and pursued his higher education right at home in the Bay Area, it should come as no surprise that Dr. Fong is also a die-hard fan of the local professional sports teams and loves talking about last night’s game with his patients. Dr. Fong takes pride in his family dentistry practice, seeing patients of all ages and providing high quality, individualized care that focuses on the personalized needs of whoever is in his chair. With the help of his friendly staff, he consistently gives detail-oriented care — including a host of cosmetic and restorative dentistry services — that leads to enhanced, healthier smiles. Dr. Fong has been happily married for over 20 years. When he’s not in the office improving smiles, he enjoys spending time with his wife and attending their young son’s baseball games. For your convenience, Dr. Kevin Fong accepts most major insurance plans. Click on "View full list of companies" to see a list of commonly accepted insurances. This list is not entirely inclusive of all plans we accept. For specific insurance plan inquiries, please feel free to contact our office. "Quick, painless and a breeze. 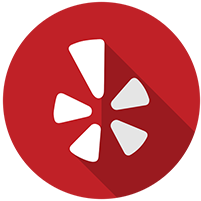 To the professionally Feng Shui office, to the excellent staff, to the doctor, five stars all around." "Went in for a wisdom tooth extraction and I have to say, he was quick and to the point. Keep up the good work and I shall be back to remove the rest of my wisdom teeth!" "Very good dentist and very honest. What I like about Dr. Fong is that he works with you. Very professional and explains everything in detail."